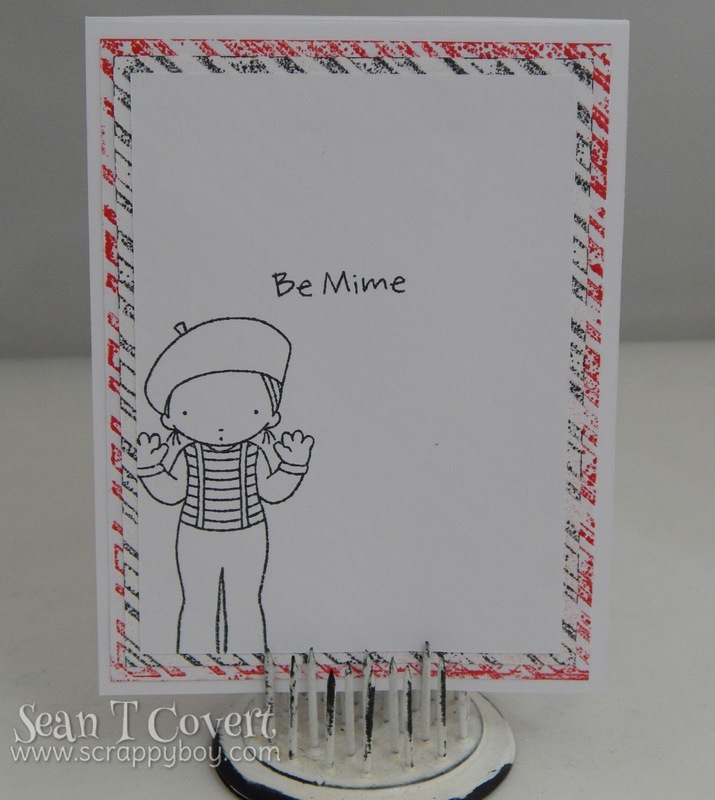 Scrappy Boy: Be Mime Card!! Hello and welcome back fellow crafters! 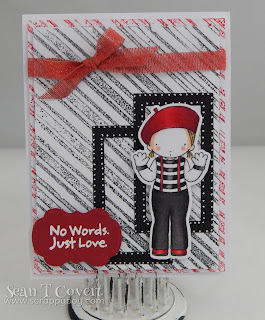 To continue with my newest stamp obsession, here is a cute card that I replicated from a design team member of My Favorite Things. She is just SUPER SUPER cute!! 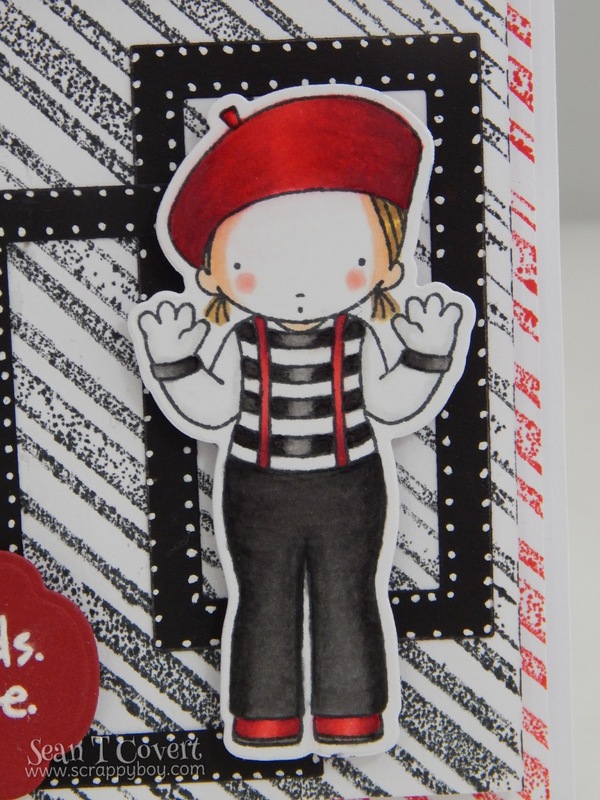 I colored her so you could see her skin under her "Mime make-up". I really love the way she turned out!! I hope you enjoyed my card!! 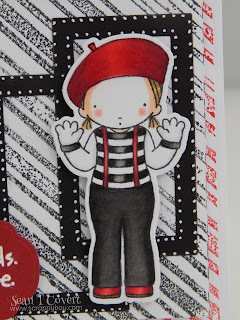 Super Girlie Super Girl Card!! 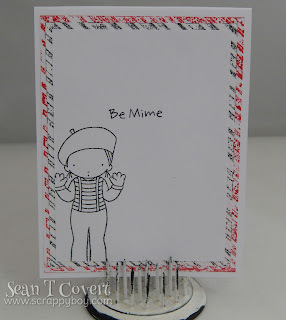 A Pop Up Box Card! A 4th of July Birthday Card! !